The Academy offers guitar lessons for beginner through advanced level students on acoustic and electric guitar. All styles can be taught including rock guitar, blues guitar, folk guitar, flamenco guitar, and classical guitar. We also teach electric bass guitar lessons and ukulele lessons. Buzz Gravelle has over twenty years experience as a music instructor, during which time he has taught thousands of students. 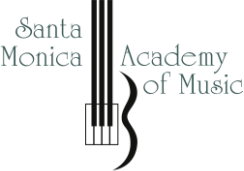 He is the founder, co-owner, and director for the Santa Monica Academy of Music, and the head guitar instructor. Additionally, since 2006 he has been an adjunct Professor of Music at California Polytechnic University at Pomona. Buzz has been performing on guitar for over twenty years. As a member of the Modern Arts Guitar Quartet (1990-1995) he performed regularly in California, in addition to Germany, Austria, Italy, Mexico (16th Annual Festival of New Music, Mexico City, 1995), and the Pacific Northwest. He stays active performing and recording on classical guitar and classical mandolin, both as a soloist and as a member of EnsembleFRET. Ron began his musical studies on the piano at the age of 5, later adding the guitar at age 14. Ron continued his studies in composition, classical guitar and piano under the tutelage of Alex Komodore and Susan Cable at the Metropolitan College of Denver, where he performed in master classes with world-renowned artists such as Manuel Barrueco, David Russell, and Sharon Isbin. After developing a passion for the music of Africa in college, Ron spent several years touring the US as a lead guitarist for some of the country's top world-music acts, eventually landing in Southern California, where he currently keeps busy as a lead and solo guitarist, studio musician and instructor. With over twelve years of teaching experience in private and group settings, Ron has developed a unique ability to connect with many different types of personalities of all ages while also tapping into each individual's unique musical and creative talent.